Since 1984 A.D, Bhat-Bhateni has grown from a ‘single shutter’ 120 sq. ft. cold store to become the leading supermarket and departmental store chain in Nepal, and the highest tax payer in the sector since 2008 AD with more than 40,000 acclaimed customers daily. There are currently Six stores conveniently located in central Kathmandu, Lalitpur and Pokhara. 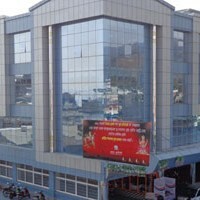 Bhat-Bhateni offers a full range of 120,000 products from 750 local and international suppliers, including a wide range of groceries, fresh fruits and vegetables; a broad range of leading international liquor, toiletries and cosmetics brands; and an extensive choice of kitchenware, clothing, sports, toys and electrical items. Furthermore, both premises include excellent value jewellery stores that offer a wide range of gold and silver ornaments in both traditional and modern styles.